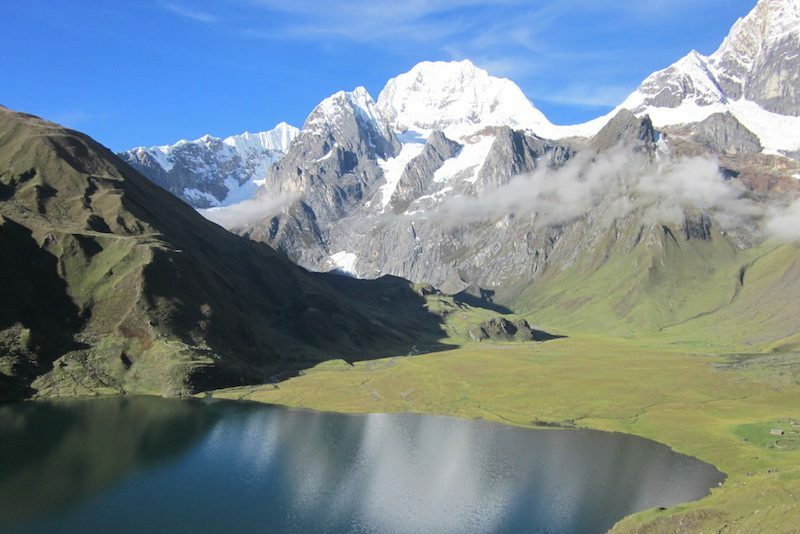 The Huayhuash Classic Trek is one of the most beautiful treks in the world. 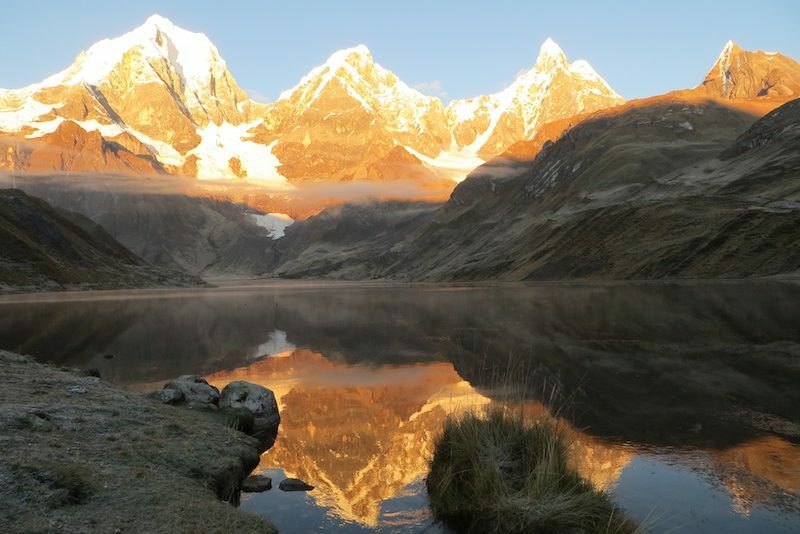 With this route you can discover the most impressive areas of the Cordillera Huayhuash in just 8 days. 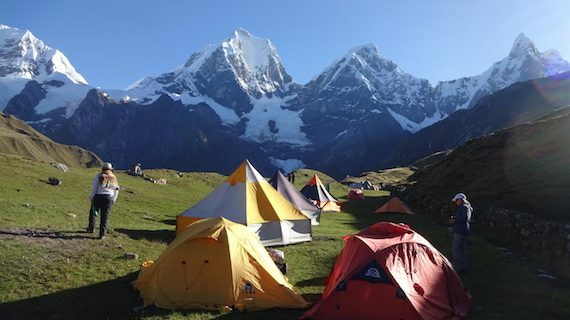 We camp by the most beautiful lakes with impressive views of the largest mountains in the range, including the second highest peak in Peru, Yerupaja, the famous Siula Grande and many more. 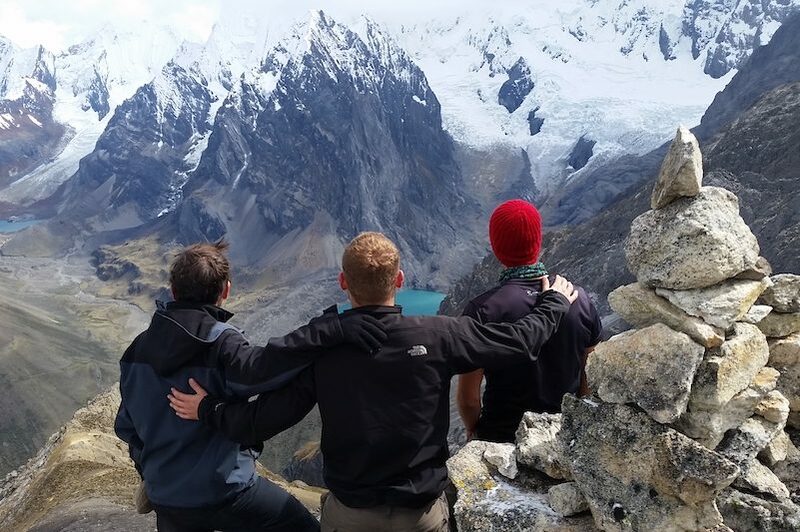 We hike up 7 passes, including the highest with over 5000m altitude. 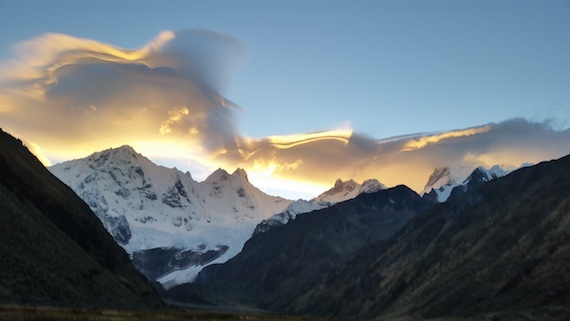 All about the Huayhuash Classic Trek. 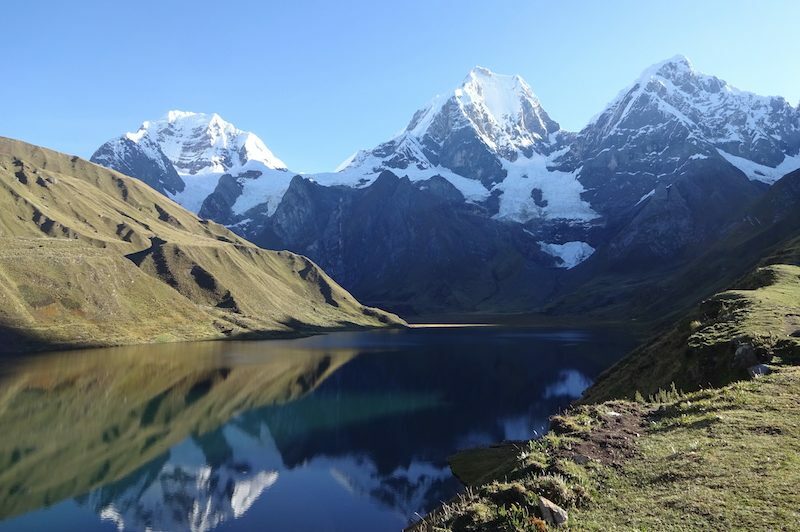 The circuit of the Cordillera Huayhuash lasts 8 days, almost always moves at altitudes over 4000m and overcomes at 170 km distance 7 passes between 4300 and 5000m. 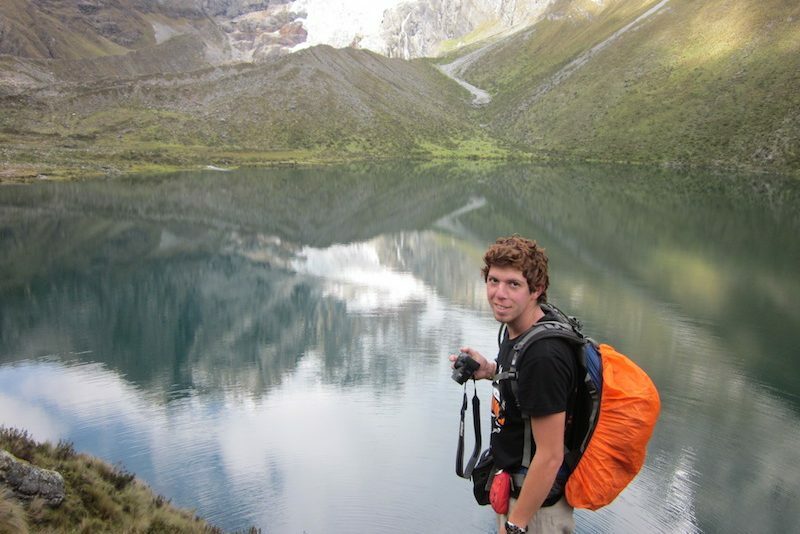 We offer this trip also as 10 days challenging trek or combined with the climb of Diablo Mudo mountain. Tailor-made programs are available upon request. Contact us! 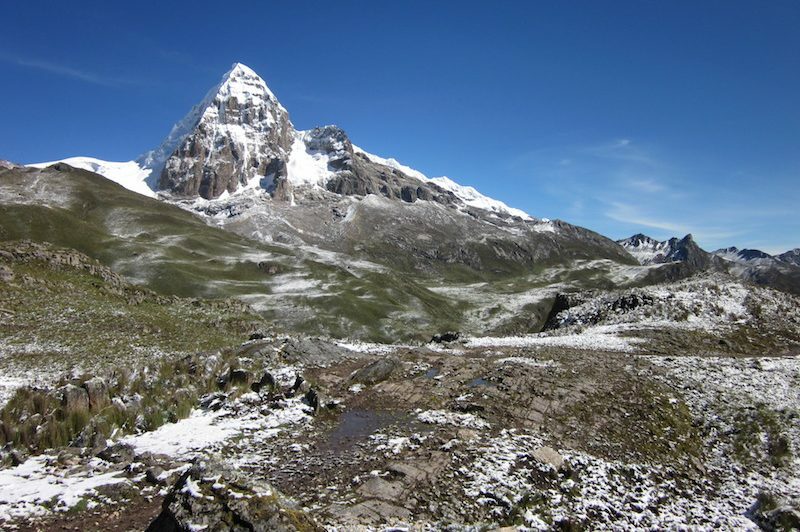 Today starts a long and challenging day, we hike to the highest pass of the trek, Cuyoc Pass (5000m). 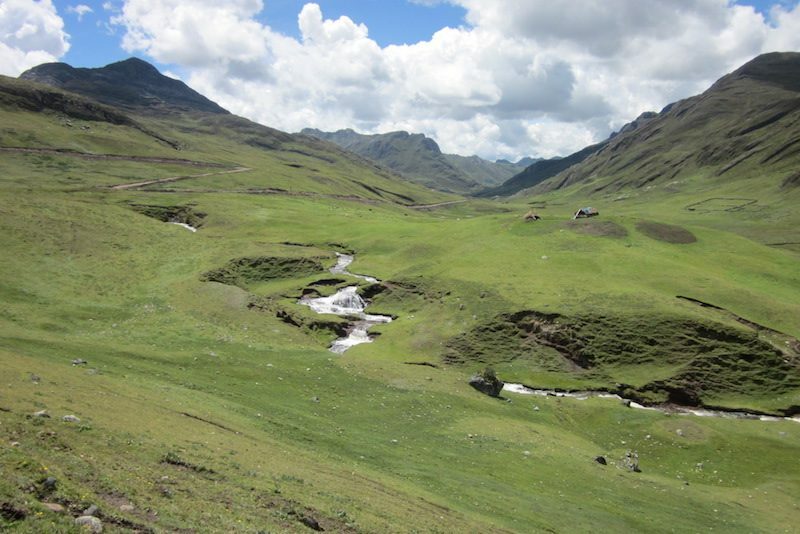 We climb the steep path to reach the pass and finally enjoy the magnificent view of the surrounding high mountains. 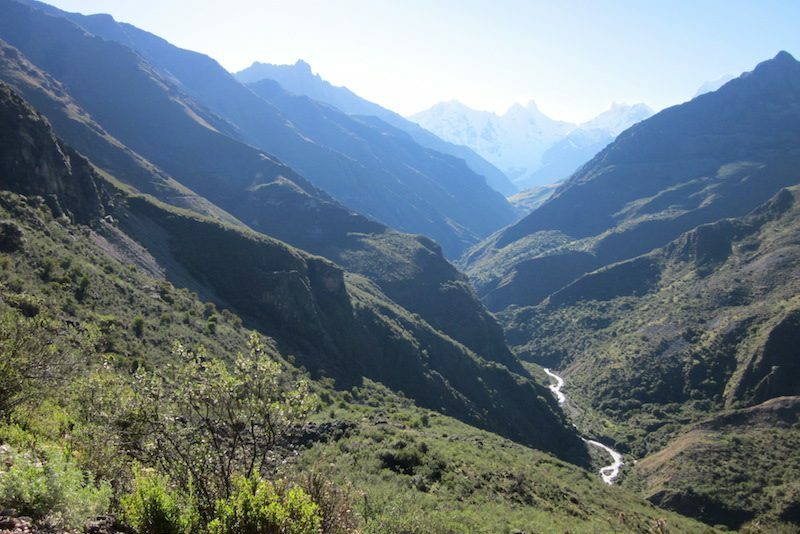 Two mountains are very close to us on both sides, Pumarinri (5’465m) and Cuyoc (5’550). We slide down a sandstone slope and then continue our descend over a section of rock until the Huanacpatay and Cuyoc Valleys meet. 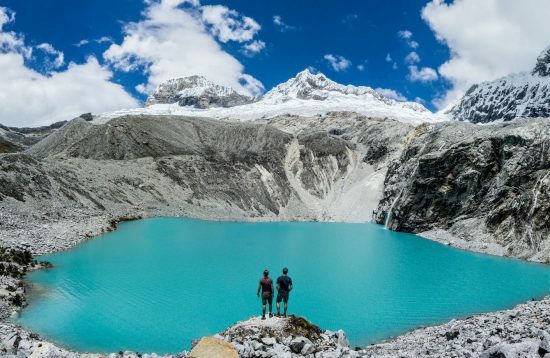 From here, it’s a 525m climb to the San Antonio viewpoint at 5’000m that proves its worth with stunning views of numerous peaks and a pair of lakes of the eastern Cordillera Huayhuash. 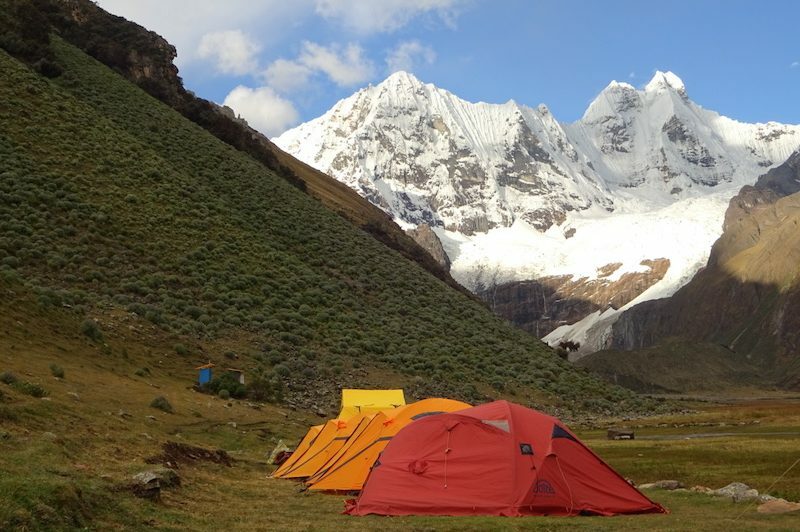 We descend to our campsite at Huanacpatay (4’300m) with its views of the snow-capped Puscanturpa (5’447m) and Sueroraju (5’442m). 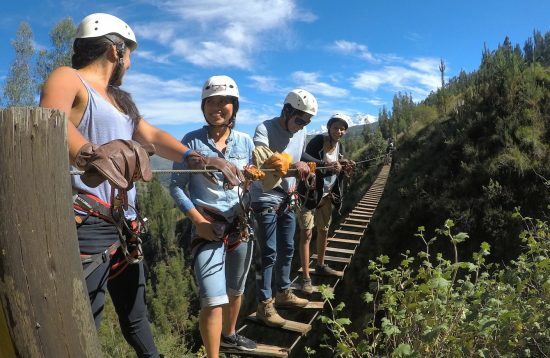 Today we descend with a zig-zag trail where the river transforms into a waterfall that cascades down in giant steps into a green picturesque valley. 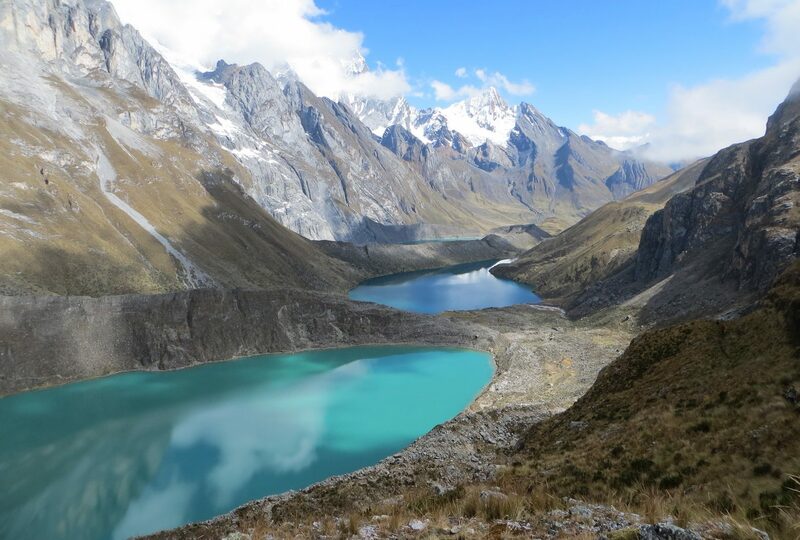 From here we enjoy a pleasant hike to the village of Huayllapa (3600m). 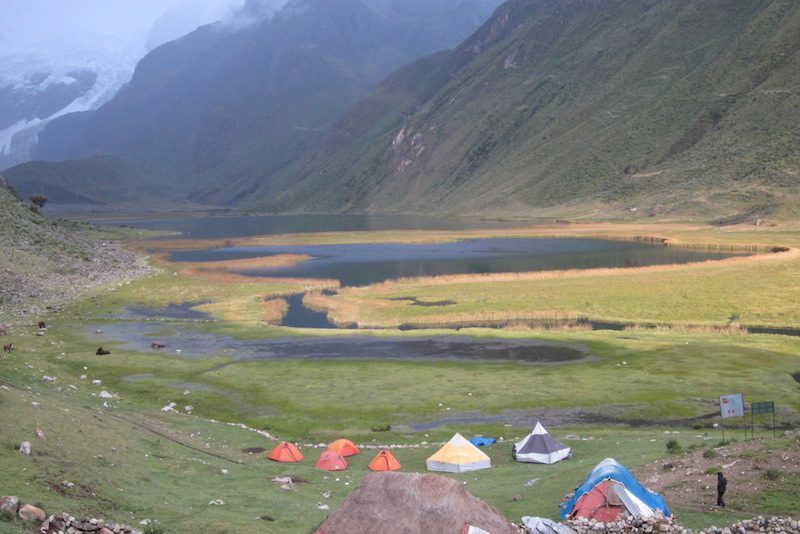 Then we hike up a steep path of 4 hours to reach our next campsite Huatiac (4’350m) with beautiful views of the mountains around us. 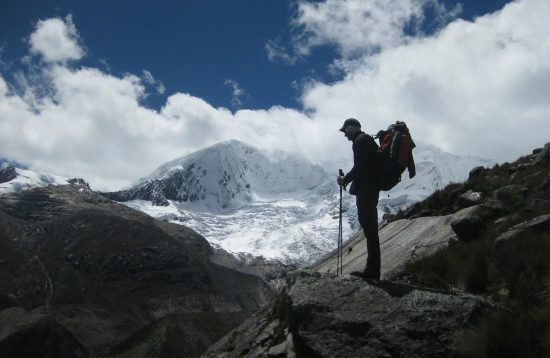 Should we not reach the minimum group size of 9 trekkers, we charge an extra fee to guarantee the departure. 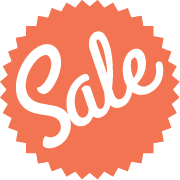 If you by then not agree to trek in a smaller group, we can still give you back the full deposit payment. 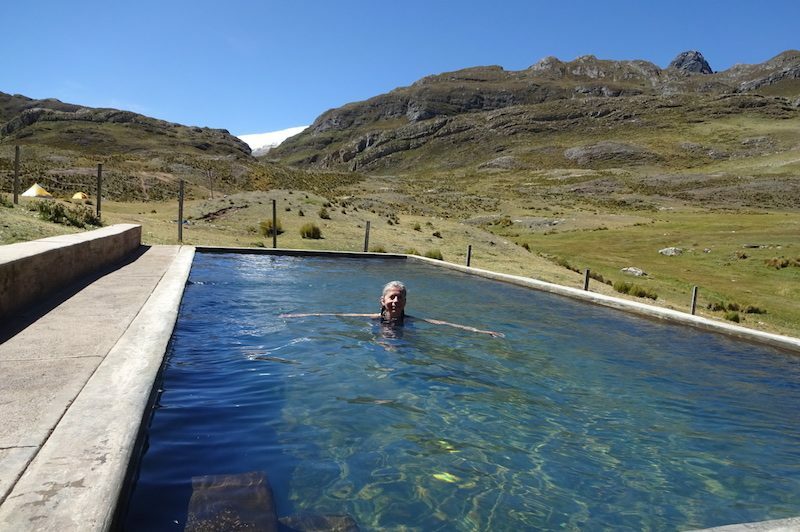 All our trips can also be booked as private group service with tailor-made itineraries and trip inclusions. Contact us! 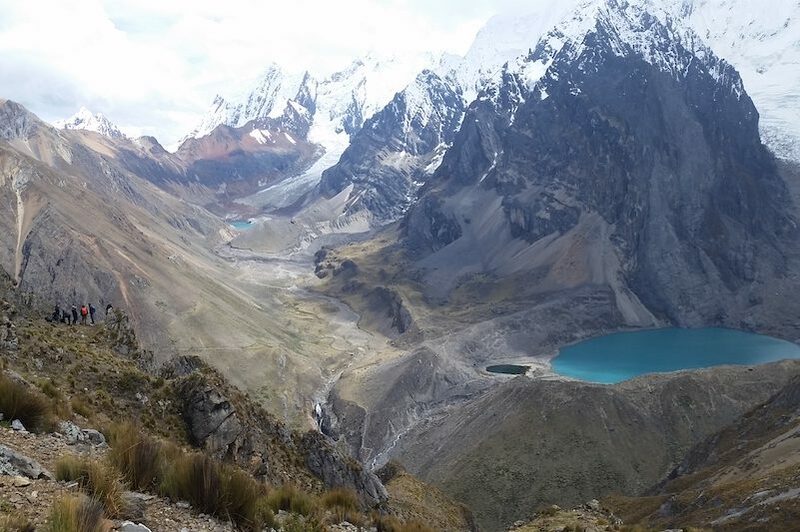 How do I prevent altitude sickness?Are there any toilet facilities during the trek?Are there any showers at the campsites? 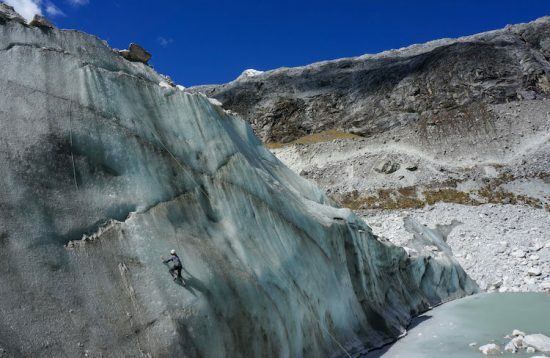 Are there any toilet facilities during the trek?